Balance Due: 6 weeks prior to start date of stay. Payment Methods: Bank Transfer (request details), cheque. Well behaved dogs allowed (Max 2) £5 per dog per night or £20 per week, for extra cleaning. Short breaks available, please ask! Sorry, we do not accept Stag or Hen groups. Strictly NO SMOKING inside caravan. Arrival Time : from 3pm. Thank you for taking the time to view our holiday home. I aim to reply to you within 1 hour of receiving your email, between the hours of 9am - 9pm. We keep our availability calendar up to date at all times! Welcome to our holiday home The Shire, sited on the lovely Kelling Heath award winning park North Norfolk. 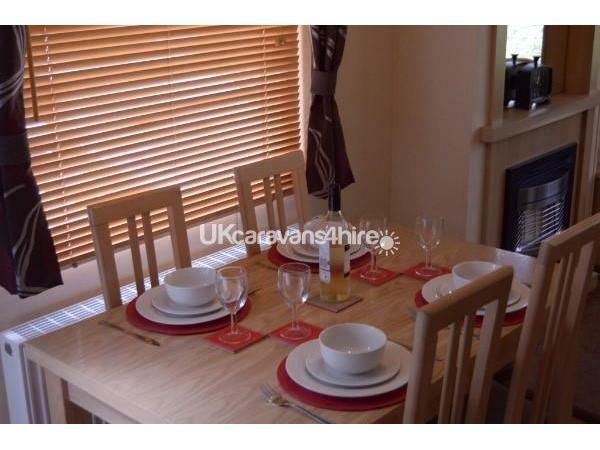 The Shire is a modern 6 berth, centrally heated holiday home. It is sited on a plot which is peaceful, with plenty of sun to enjoy. It is set amongst the woodlands with a short walkaway from the main square where you will find everything you need, a grocery shop stocked with lots of local produce, a restaurant & bar, leisure centre and ther is also a launderette on site if needed. There is bike hire on the park or you can bring your own, there is plenty of bike trails and walks on and around the park. The steam train halts at the park, taking you to the lovely market town of Holt or the seaside town Sheringham. The lovely sandy beach at Holkham is a must along with Holkham Hall. Norfolk Broads at Wroxham is a lovely day out, or why not visit the seals at Blakeney. The Muckleburgh Collection is another great day out, especially for the males! Norfolk is the bird watching capital of the UK. There is so much to do & see in North Norfolk, or just sit and enjoy the peace! Well behaved dogs allowed (max 2) £5 per night or £20 per week. We also have provided dog bowls. 2 for 1 Leisure passes for our guests. NO DOGS LEFT ALONE IN CARAVAN PLEASE. A key release form will be sent to you when all funds have cleared. The key is then collected from Kelling Heath reception, and returned on your departure. We stayed with our two boys aged 6 and 8 and our dog Ned. The caravan was very clean and had everything we needed! The garden is enclosed which was brilliant for the dog and the boys were especially pleased with the toy cupboard...plenty of dvd’s And games for a rainy days!! The welcoming card and biscuits was a nice surprise and the fresh milk and tea welcome after a long journey! We will most definitely be coming back! Had a fabulous short break at The Shire, I've never stayed in such a well equipped caravan! There is everything you need and more, real bonus having the linen and towels included and the rooms were beautifully made up when we arrived. The location is wonderful, far enough away from the main facilities to be peaceful yet close enough to get what you need when you need it. The gated garden meant the children could play outside safely and the inclusion of the BBQ was much appreciated in the warm weather. Owners are very friendly and professional, perfect combination. Highly recommend The Shire. 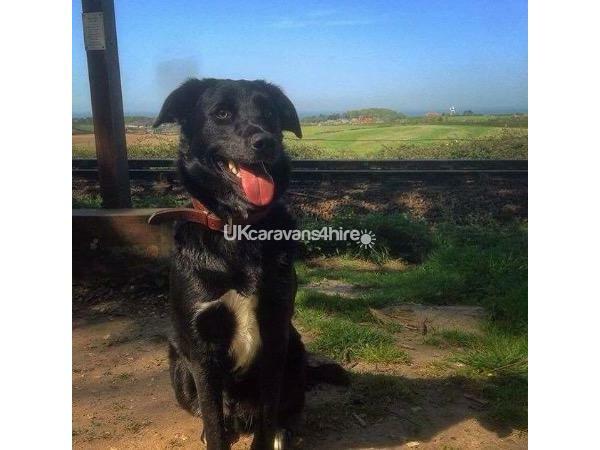 Really enjoyed are holiday at kelling heath a lovely setting.it was made more enjoyable by finding a caravan that was dog friendly,modern and most importantly very clean. We had a very comfortable stay here, comfy bed, great shower and lots of games,books and dvd's to entertain the kids. The caravan was clean, modern and in a lovely location. My only criticism is we could have done with a clothes airer for wet towels. We would definitely stay here again. Thank you for your positive feedback and I will be purchasing a clothes airer for the caravan. ???? A wonderful week, very well looked after caravan, will book again! Thanks for the welcome pack, the caravan is set in a amazing setting. We had a very good week, thank you. We had a super relaxing week, lovely caravan in great setting. Many thanks, Ps. We all loved the cake, thank you. Thank you for letting us use your wonderful caravan, everything was perfect. We all had a fantastic stay. The kids had an epic adventure all around. Thank you, we are so please you had fun! Very relaxing, had a great time! Many thanks. Amazing time. Kids loved the walks & play areas. Superb place to stay. Thank you. Very relaxing, Molly loved the woods, lovely caravan, very clean etc. We will be booking again x thanks. Just what was needed to refresh the mind, a couple of days in the sun with lovely surroundings and lovely people. Everything we needed for our stay was there (even the sun)! The welcome pack was lovely - Thank you. We will most definitely book again. Just arrived back from a lovely mid week stay in your holiday home. The service you gave us was second to none, replying so quickly to all of my emails. The caravan was lovely, welcoming & comfortable. We had a very relaxing break. Thank you for the welcoming extra touches....tea, coffee, milk, sugar and of course the cake. We will be returning in 2016! 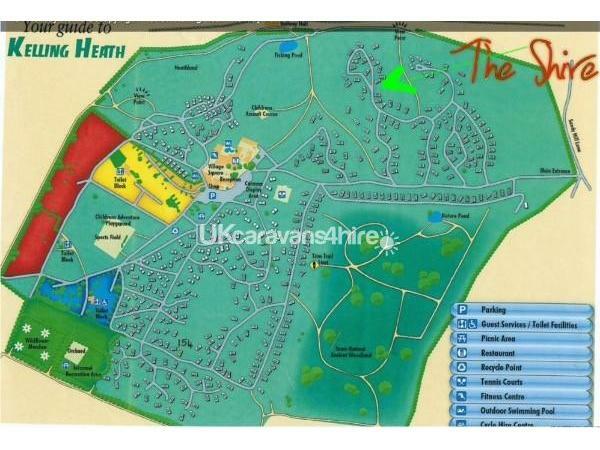 We have camped at Kelling Heath in the past but thought because it was late in the year we would hire a caravan. 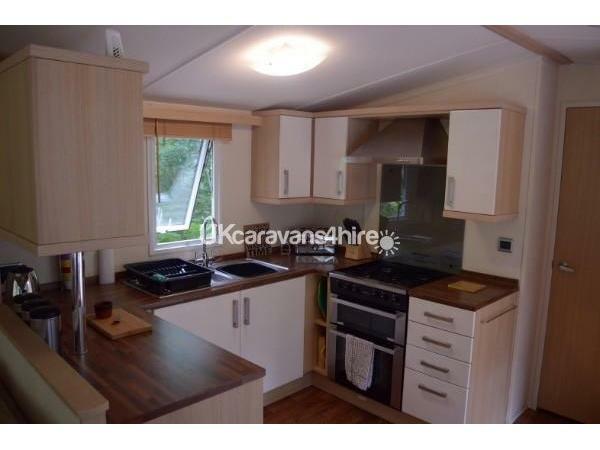 Lovely modern caravan with everything you could need for a holiday. Even the weather was perfect!! Our dogs enjoyed the walks through the woods, especially since we live in a city. The welcome pack and card was a nice touch, and when booking the owners always answered our emails promptly. Because we stayed late in the season, end of Sept / early Oct the site was nice and quiet, which suited us perfectly. We will definitely be booking again and wouldn't hesitate to recommend it to anyone thinking of staying there. We had a great mini break with young child and toddler. Great caravan with everything you need- also having the bed linen and towels was great to reduce the luggage we had to take. Loved the extra touches - cake, milk, tea etc. and the children liked the DVDs and games. Would have preferred grass in the garden at the front as our 18 month old walking and worried about tripping on stoney ground but believe there is going to be a new decking area there soon. We also could have done with a stair gate as we forgot how she likes to explore when you have the door open. Otherwise great holiday in comfortable, well equipped, clean caravan. Had a great time in this beautifully clean and well equipped caravan. Welcome pack and card was a lovely personal touch. Nice central location, great for walking, cycling and swimming. Took some lovely photgraphs of nuthatches in the surroundings trees. Highly reccomended. Thank you, and so glad you had an enjoyable stay at The Shire. Colin & Rachel, Thanks for everything! It was perfect in every way. From the welcome pack to the vast amount of utensils etc, you have thought of almost everything. We have stayed in 5 different holiday homes this year & this was far and away the best presented. Our 2 dogs stayed in the garden much of the time & were quite happy there and pretty tired after the walks we did. Beds very comfy! Hope we can come again? E.K and family. Thank you, so glad you enjoyed your stay! A great week, Children had freedom to explore, lovely walks, and great facilities on the park. 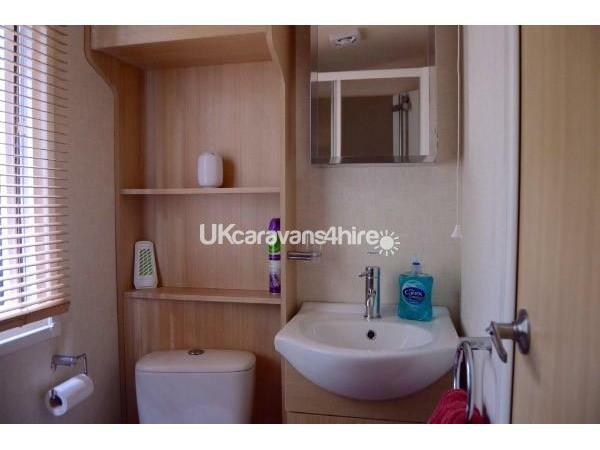 The caravan was spotless and had everything you needed. Only down side was lack of wifi on the site - we're self employed so access to the internet is important to us even on holiday; wifi is available in the 'village area' but it would have just been fantastic to be able to access this from the caravan. Thank you to the owners for keeping such a high quality caravan - it was lovely to not have to think about taking the detailed stuff (washing up liquid, towels etc) and just to pack clothes and bikes! We had a lovely time. Caravan clean comfortable and more equipment than we have at home! Spacious with two toilets! Enclosed garden handy with children. Parking space right outside. Quiet location but not too far from facilities. Going to book again definitely. Enjoyed a lovely few days here with my family at Kelling Heath. 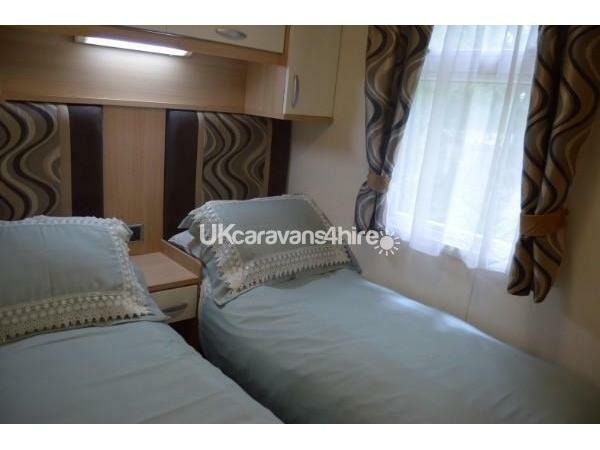 The caravan itself was modern, immaculately clean & very well equipped. The owners have put some really nice, personal touches in place which are evident when you stay here. 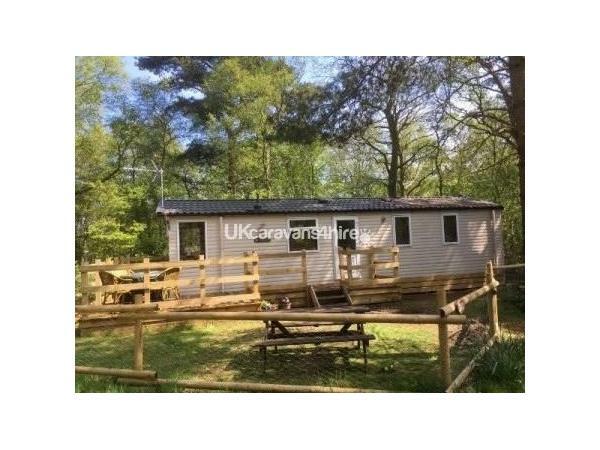 Kelling Heath itself has everything you need for a peaceful break whilst on site & an easy base to enjoy the surrounding areas. Would definitely recommend ! Thank you for your lovely review, it means a lot to us to make everyone's stay perfect! just got back from a lovely week at kelling heath ,the caravan the shire was perfect everything was there very clean and modern ,the enclosed garden was perfect for younger children .The caravan had a lovely peaceful plot .Kelling heath is a lovely place to stay and there is loads to do on and off site, will be going back again and would recommend it to everyone .Thank you Rachel and Colin .